Hats off to the drone pilot who thought of this. 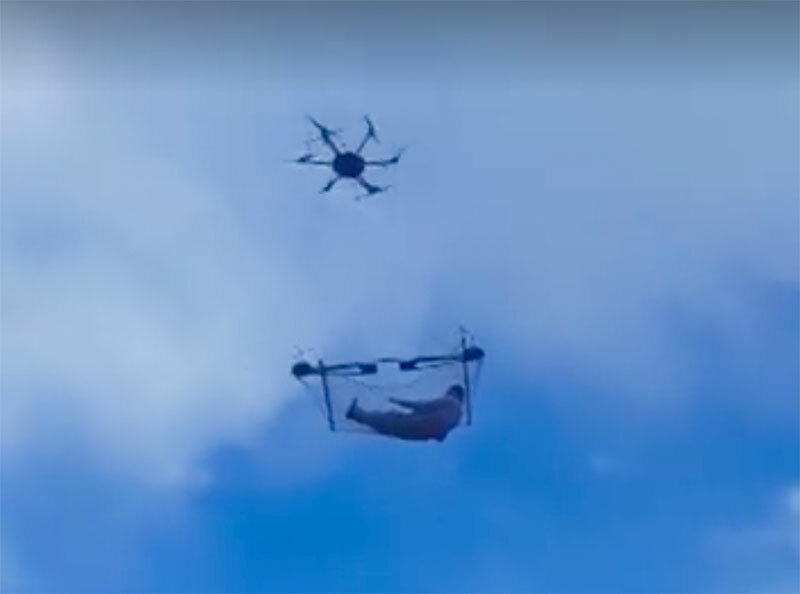 Below is a video all over social networks of a guy “chilling in a flying hammock drone. The only problem with this is that hexacopter drone setup of that size could probably only weigh 12-15 pounds, bird and payload included. So unless the person and the hammock weigh in at about 5-7 pounds, this one’s a fake.